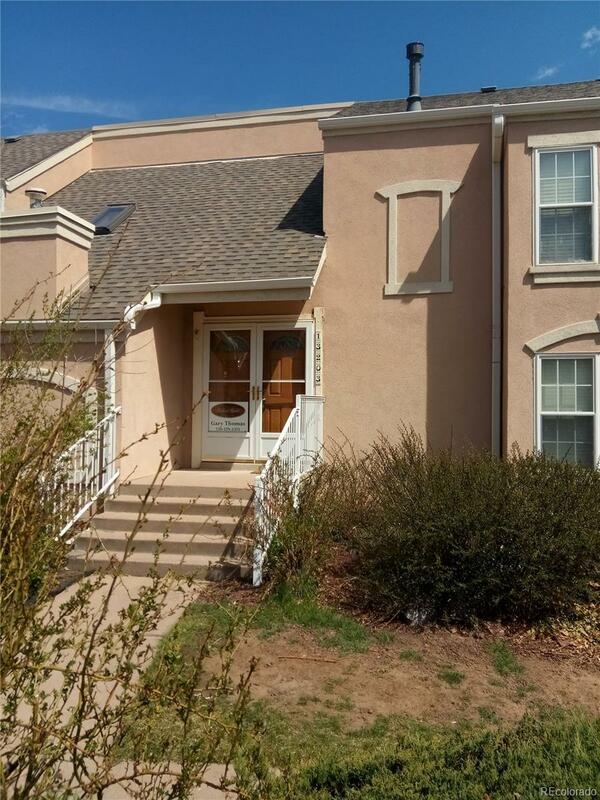 MLS#: 3087516 - Courtesy of Brokers Guild-Cherry Creek Ltd.
Beautiful 3 Bedroom, 3 Bath, townhouse in the Dam East area of Aurora. Cherry Creek Schools, Ideal location, easy access to I-225, So. Parker Rd, Schools, Shopping, Restaurants, Public Transportation and Parks. Inside is a bright and open Interior, Living room with a gas Fireplace, Large eat-in Kitchen with appliances, Sliding patio doors open to a fenced area in back and entrance to a 2 car Garage. Up stairs are three Bedrooms, including the Master Bedroom, Full Bath and a quarter, Main floor is a half bath. Wood Floors are engineered Hardwood. Seller is offering a carpet allowance of $1,000 to replace carpet in two bedrooms and stairs, also A One Year Home Warranty.